The Prime Minister pointed out at infamous incidents like 1984 anti-Sikh riots and Bhopal gas tragedy that occurred during the Congress rule. 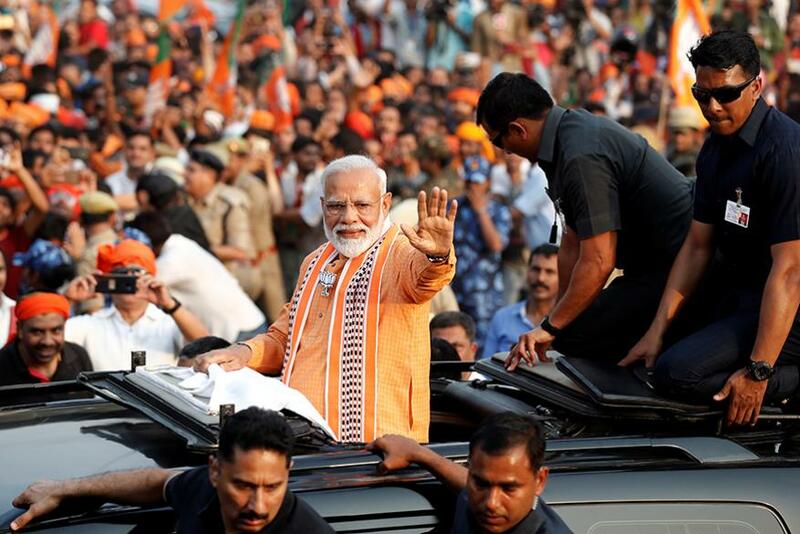 (violence), who will do Nyay to the government of great MG Ramachandran ji, which was dismissed by the Congress just because one family did not like those leaders....who will do Nyay to the victims of the Bhopal gas tragedy, among the worst environmental disaster in India," the Pm said. If Rahul Gandhi invoked Tamil pride and Dravidian legacy to target BJP's Hindutva line, Modi today countered it by pointing to Tamil Nadu's spiritualism, late AIADMK leaders MG Ramachandran and J Jayalalithaa and the welfare of Srilankan Tamils. Referring to the capture of IAF pilot AbhinandanVarthaman by Pakistan army, he said, "When a brave Indian fighter pilot was captured in Pakistan, it was ensured that he is back home in record time and even then Congress was playing politics over national security and insulting our forces."